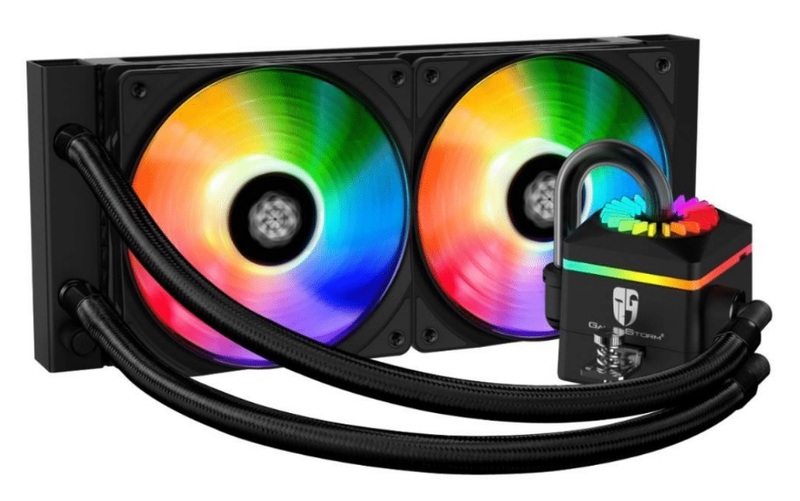 Deepcool & Gamerstorm have released three new CLC coolers in the Castle 240mm and 280mm and the Captain 240 Pro. 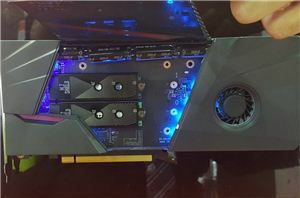 Both CPU coolers have RGB LED fans and some sort of RGB lighting on the CPU block checking off the (also required) inclusion of RGB LED illumination. 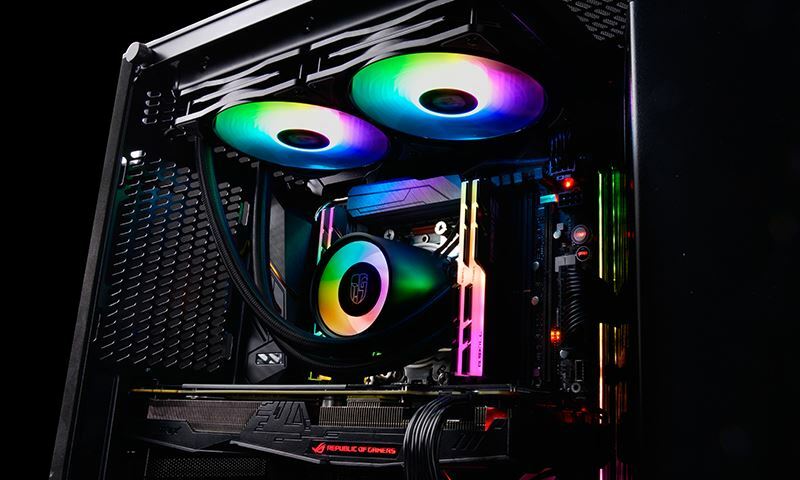 Both coolers are said to fit modern Intel platforms as well as AMD platforms, even up to TR4 socket for AMD Threadripper processors. The Castle 240/280 RGB’s pump has a unique looking round top where the underlying RGB LEDs shine through. The system is able to connect to an addressable RGB header on the motherboard or controlled through an included wired controller with five built-in effects (breathing, static, dynamic, comet, and fashion collision) and 36 interchangeable lighting modes seemingly striving to be the center of attention inside a case. 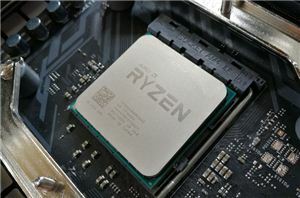 The CPU block is made of pure copper and is large enough to cover AMD Threadripper size CPUs. The pump itself is a three-phase induction motor with closed impellers used to push water through the radiator. In addition, the radiator uses E-shaped micro-channels said to enlarge heat contact areas and enhance heat circulation. Deepcool uses PWM controlled 120/140mm fans designed to work with addressable RGB-enabled PCs and include dampening technologies aimed at minimizing noise and maximizing airflow. 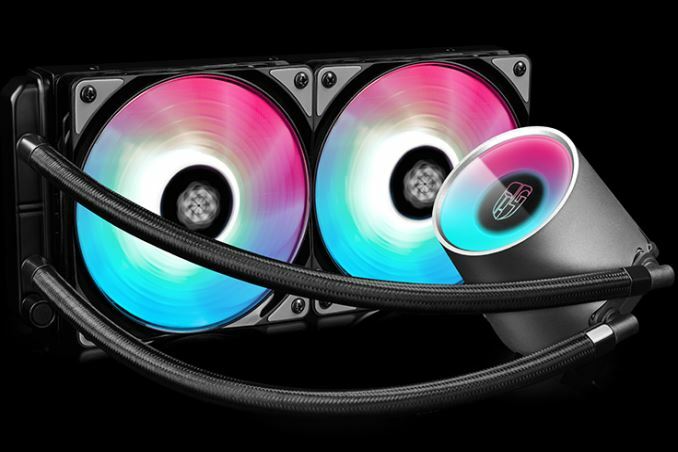 The Captain 240 Pro is a bit different than the Castle line using what appears to be a different radiator (or at least its framed out to look different) and a different pump aesthetic (perhaps different altogether) having a more cube-like appearance. 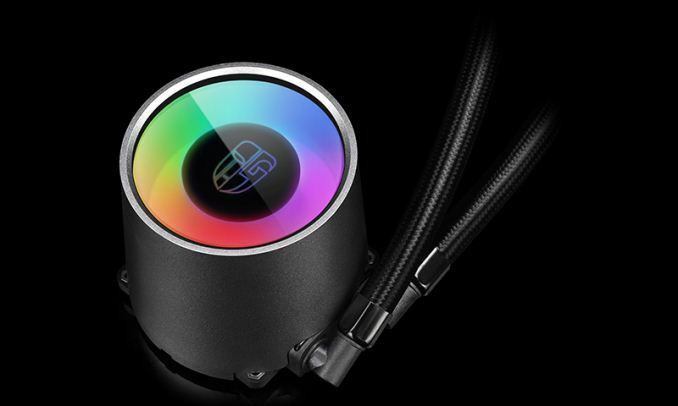 The RGB LEDs show through a ring of frosted fins around the top portion as well as some frosted plastic in a circle around the top. 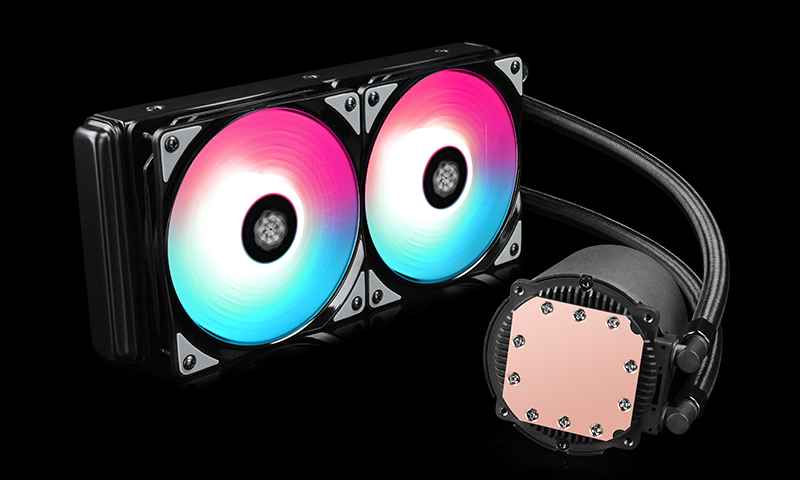 The Captain 240 pro comes in 2x120mm size only using the same addressable RGB LED fans found on the Castle units. The existing Captain line (not pro) doesn’t have the ring around the top and illuminates through the fins on top. One unique feature on the Captain 240Pro is the patented automatic pressure adjustment function which maintains the pressure inside the device automatically which is said to help with stable operation and extend overall life. The radiator uses a dual-chamber configuration where water flows in one direction for more efficient circulation. Outside of that, details are a bit scare. We will update as we receive it. MSRP for the Castle 240RGB is $109.99 with the 280RGB at $129.99. Both will be available in July. The Captain 240Pro is listed at $119.99 and available in August. 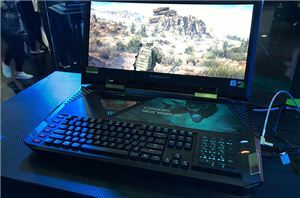 More information on Comptuex 2018 is found below.